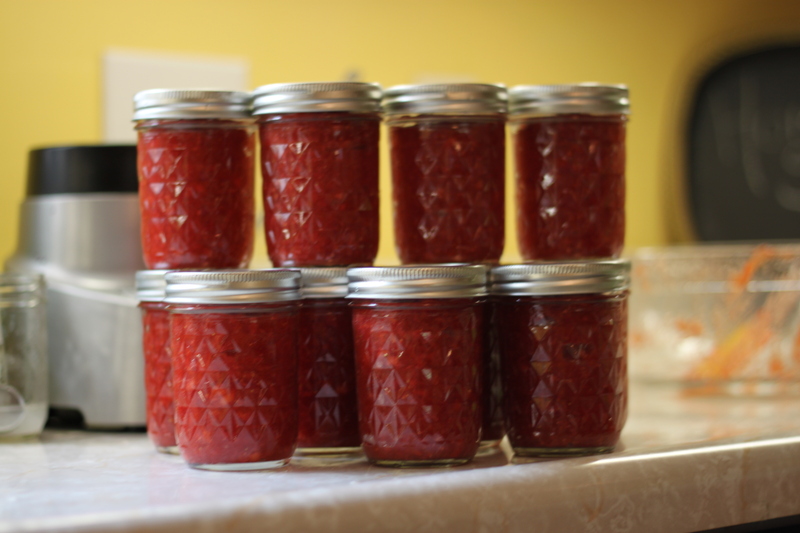 This post is a little sad for me to write up…because during the Great Power Outage of 2011, all my frozen strawberries…thawed. And I may have wanted to cry a little. But didn’t. 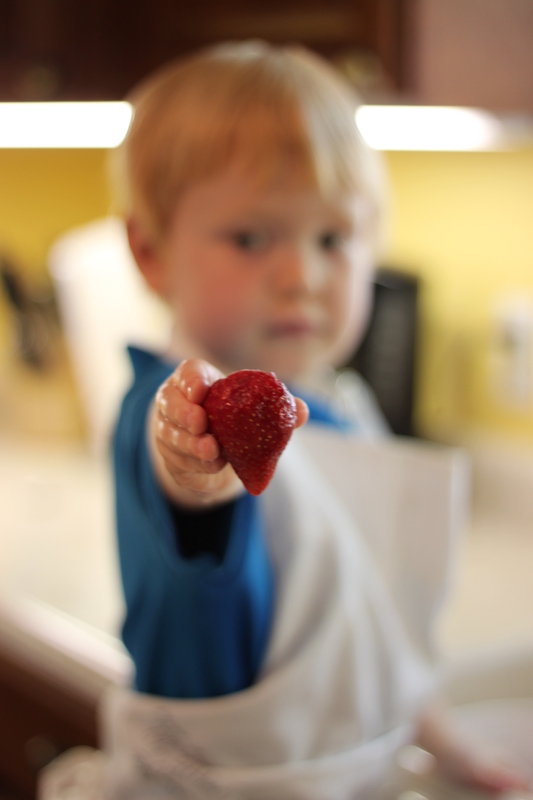 To freeze a bulk amount of strawberries, we picked a large amount of fresh ripe strawberries. Make sure to complete the following steps within 24-48 hours after picking because fresh strawberries turn fast! 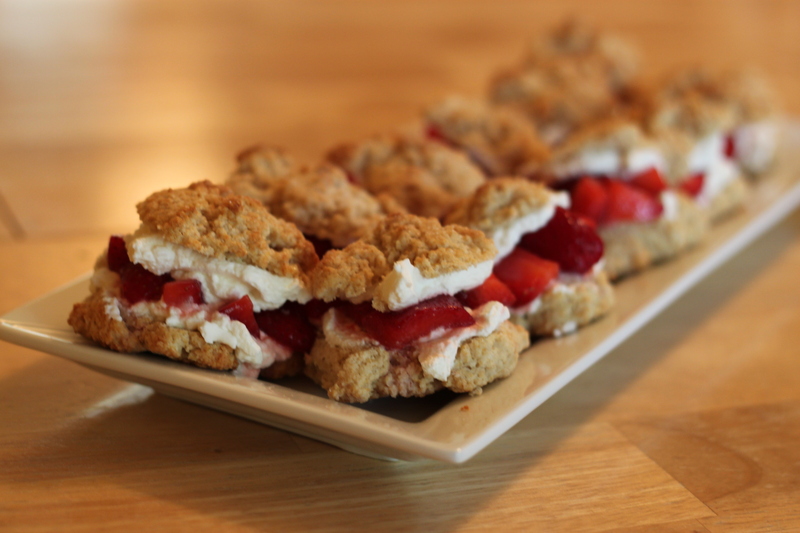 Cut the tops off the strawberries and place on a lined freezer safe baking sheet. I used a cookie sheet. Place in freezer and freeze solid over night. 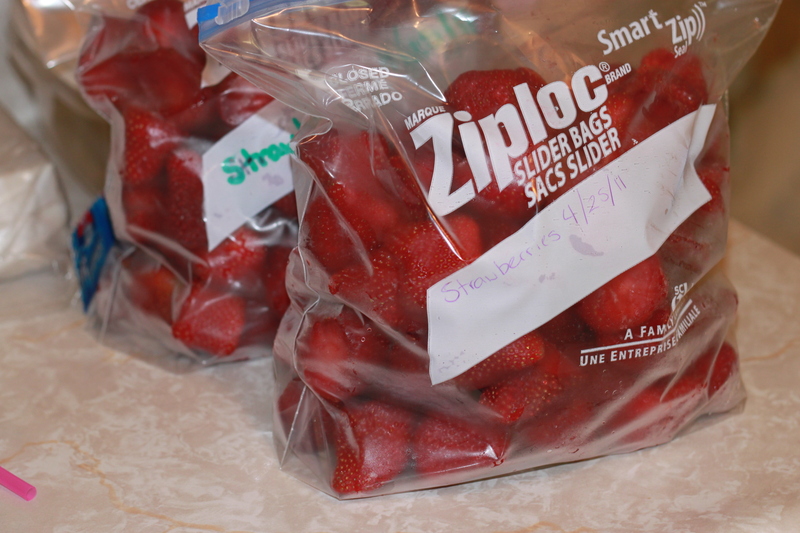 Remove from freezer and place individually frozen strawberries in freezer safe plastic bags. Label and date bags. 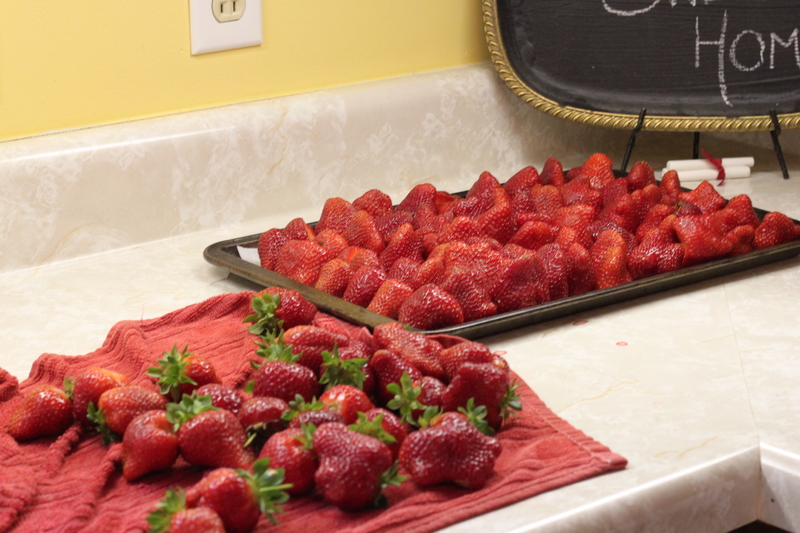 The step of freezing on trays keeps them from freezing into one massive blob of strawberry-ness. Then you can pull out a few for a smoothie or a few cups for a dessert, etc. 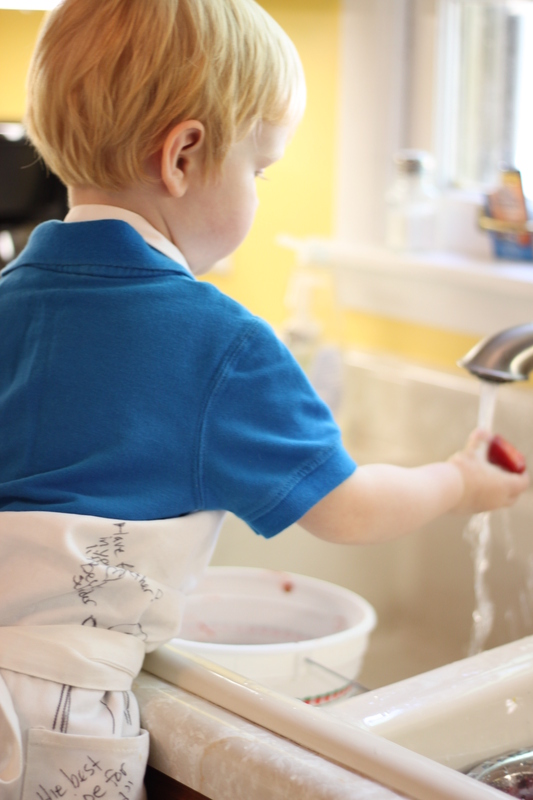 Little Man also helped me make Freezer Jam. I love this recipe because it doesn’t require that you cook the berries at all so you keep all their nutrients! Yummy! Also, don’t forget to make a few delicious desserts right away. Those strawberries are begging to be enjoyed with sugar okay?